Our prices are not "special offers" or "promotions", but they remain all the year long at the best low price possible. 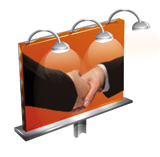 Our commitment with you and starting from the 1st unit, it to apply these low prices everyday and not just punctually. We are not increasing our prices to offer you later on important discounts. We have done all the possible to reduce the prices, so you can take advantage of them from your first purchase order. You have 15 days, starting your order reception, to return us any product you are not satisfied with, with no need of further explanation. If the product does not meet your expectations, you have made a mistake in your order or you find a faulty product, just ask us to interchange it or your money back. We have made our best to define accurately through photographs, drawings, measurements and descriptions all the products appearing in this catalogue. 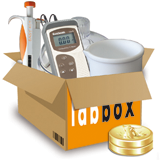 Nevertheless all the data both graphics and descriptions must be considerate as estimated, and they do not constitute a written contract between Labbox and buyers. In case of discrepancy between the information in the catalog and the actual product, Labbox responsibility is limited to accept the return of the products. Products mentioned in this catalogue are sold only for laboratory use and their use is reserved for professional use only by trained and qualified technicians. Labbox cannot be held responsible for the misuse of them or the use by untrained personnel. All equipment included in this catalogue mentions the warranty period. This period is minimum of 1 year and for some items going up to 5 years. Our Technical Service is available at any moment to solve any problem related to equipment sold under warranty or not.